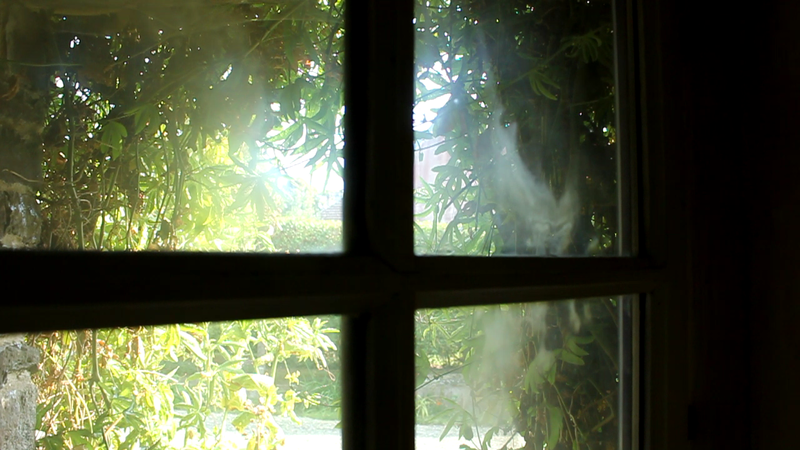 Windows for Free Part 1 - Recuperating glass windows and how we used them to glaze our entire house. 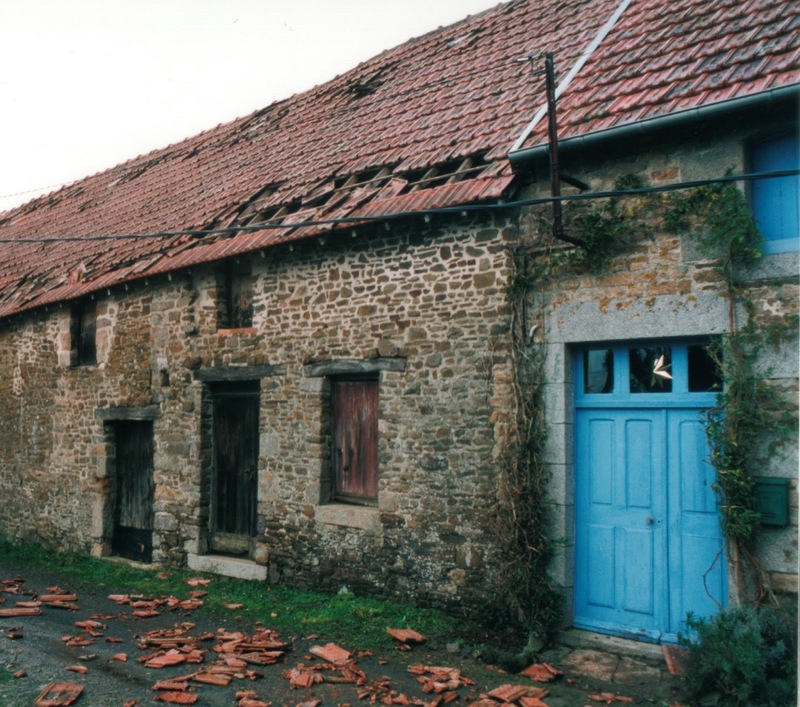 When we decided to renovate our house here in France we chose to recuperate as much material as possible. This because it would be in keeping with both our philosophy and the building; there was such a huge and freely available supply and we were working to a budget. In particular, when looking at glazing we needed quite a volume for the provision of interior light, which was in low supply due to thick walls and few openings. 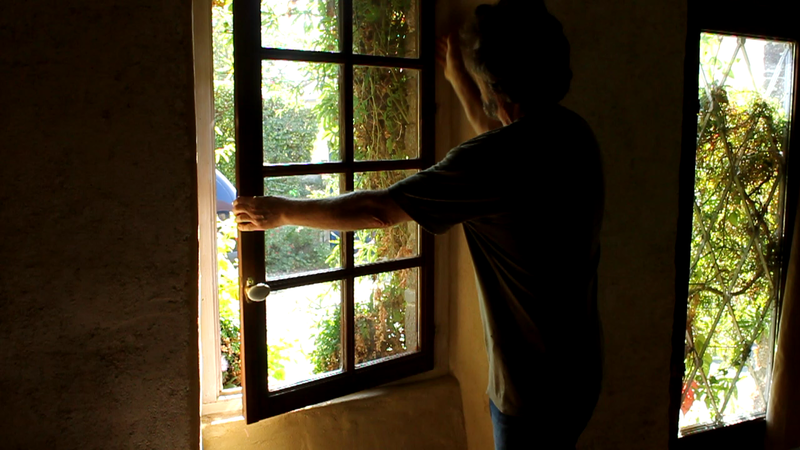 Our house is over 300 years old and is a vernacular longère so it was never intended to have glass windows. Each of these Celtic long houses follow the same architectural pattern, in having adjacent, alternate human and livestock accommodation, so these openings were meant either to give light to the cooking area or air to the animals/birds. At night these were closed with wooden shutters and on cold Winter days with sacking. As someone had, many years before, lived in one of the human habitations, now our kitchen, we actually had one window, this dating from around the 1930s. So when we came to the question of windows and doors, we just decided to ask at the local joiner’s, where we had already observed the rows of discarded items, some thirty to forty of them, piling up in his car park. One thing I should make clear with these windows, is that most of them were in perfect condition, some of the French windows even having keys - apparently many people just wanted to change to UPVC! As expected, very few windows had any frames as these were broken in their removal. Some supplies of windows and doors we obtained as they were being removed, these, often from nearby towns were elegant old windows with hand-made glass and fine astragals. For people of our philosophy the opportunity of recuperating these windows and constructing a (softwood) frame to fit them was and is a perfect way of using ‘waste’. Furthermore once the proprietor of the company realised what we needed, he and his men not only tried to carefully retain the frames, handles and keys but also kept a look out for specific sizes and shapes of window and doors! As mentioned above, another way we got windows was to watch for old houses in the area being refurbished. This way we directly approached the building firms as they were loading the windows up to dump or burn. 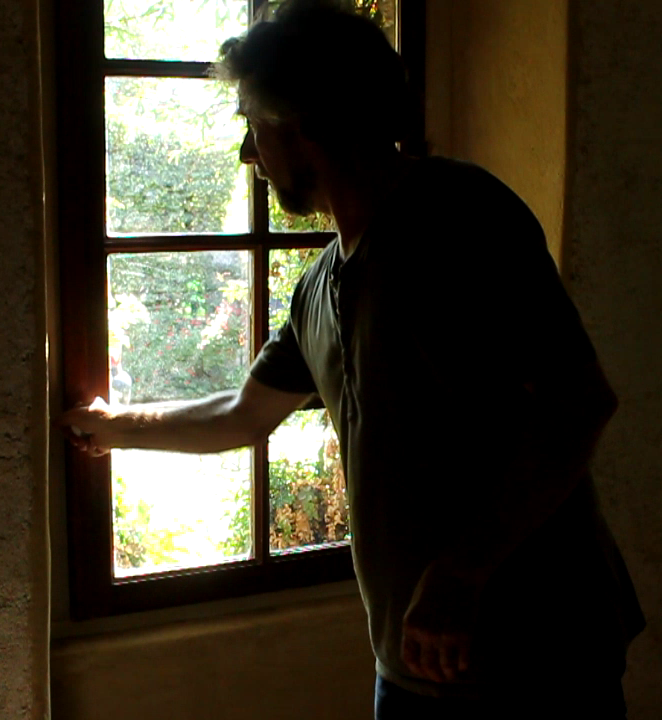 We were able to obtain some really elegant windows this way, many of which we used for our glass greenhouse (read more). There is however, a problem with old double-glazed units, like the ones we used in our sitting room. Unfortunately, last year we noticed that one of the windows was beginning to get ‘foggy’ and by the summer of this year it was apparent that it must be changed. 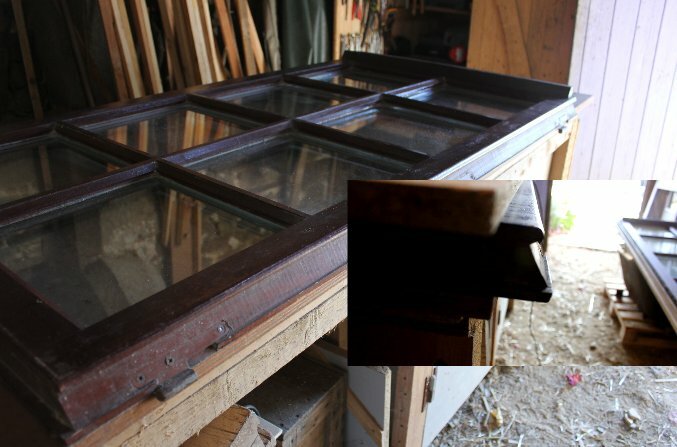 By a stroke of good fortune I had recuperated this window with several others from the same contract and in our stable where we store the pallet wood planks I unearthed the twin of the now translucent window. 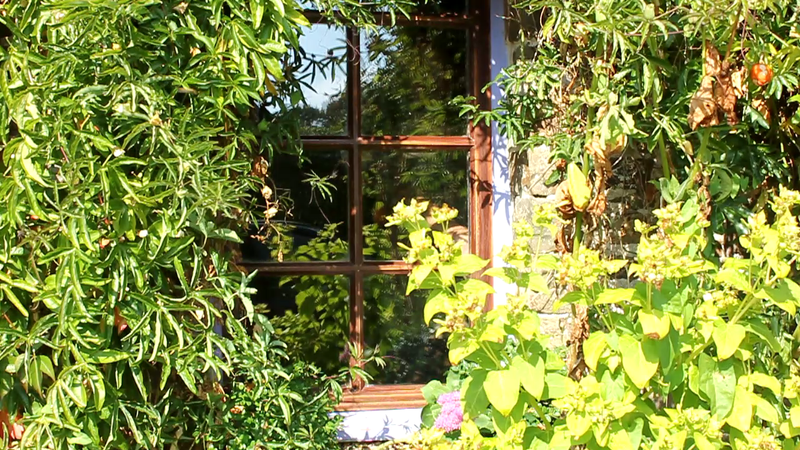 In the next blog post I will be sharing how to prepare and fit a recuperated window into an existing frame but in the meanwhile here is a film showing our recuperated windows in use in our house and garden. Once you have your pallets (see Where and how to collect pallets if you have had trouble locating them), then the next stage is to dismantle them so as to obtain the maximum amount of quality wood for carpentry. In the following article I will be looking at how to do this in different ways depending on the type of pallet and the fixings used to put it together. The following is a list of tools I use to dismantle pallets. Note: I tend to carry the wrecking bar and the 90cm crowbar in the back of the car when I’m out looking for pallets because I frequently find pallets with vertical backs attached, used for the transporting of glass, bathroom and general furniture and these obviously need to be removed from the pallet so as to fit in or on the car. The first thing to do with your pallet when you’ve got it out of the car is look underneath it and see if the nails attaching the planks are visible - if they aren’t, great! This means that the planks (top deckboards/slats) are attached with short nails and should prise off quite easily. 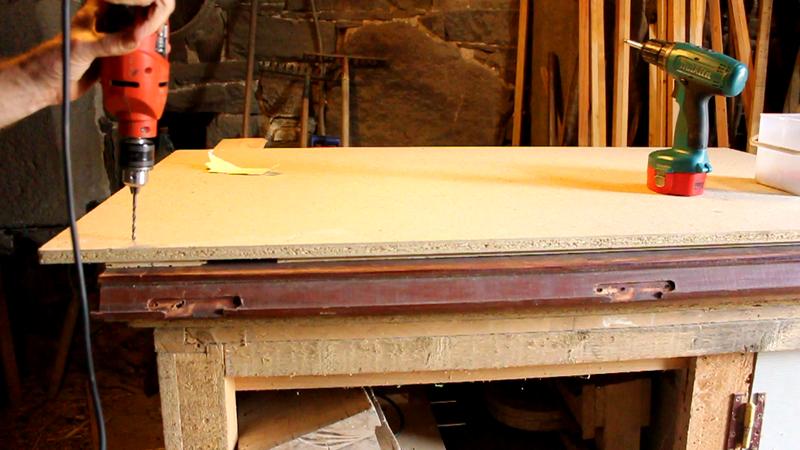 If you can see nails they will invariably be hammered flat to the underside of the stringer board. This means you’ll have to straighten the nail before prying the slat off - this will require a little more effort but if the wood looks good quality, it’s worth the effort. For the former (straight nail) pallet you need to turn the pallet right way up and put the flattened tip of your prybar under the edge of the slat as near to the nails as possible, if you have the longer crowbar then use it as a fulcrum by laying it on the pallet behind the prybar otherwise use a piece of timber. If you don’t use an introduced fulcrum then as you prise the slat off, your crowbar will be resting on the adjacent slat and may dent it or at worst, break it. 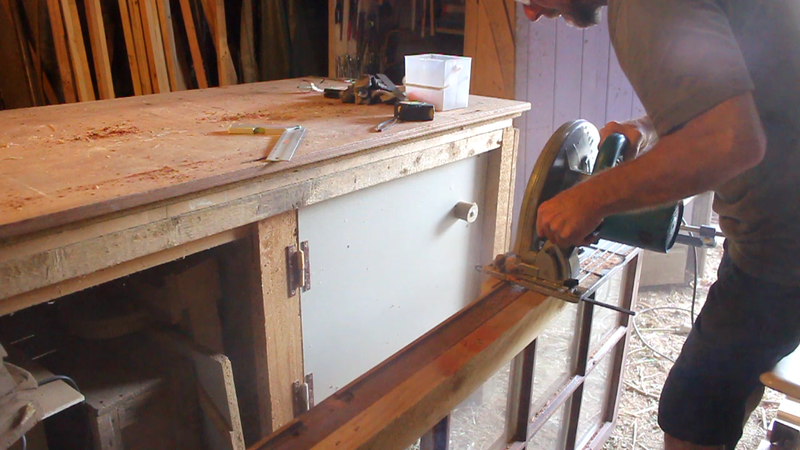 I will not try to prise the outermost and centre slats using this method as these are nailed into the blocks and are much more likely to break. For these it is better to lay the pallet on its edge and use the bolster chisel between the block and the stringer board. When the chisel is hit with the lump hammer, you may feel the nails ‘give’ and the end of the wrecking bar may be inserted in the gap produced to prise the block away. This will only happen on your ‘butter-side-up’ days and if you are fortunate to have this happen you will end up with the nails sticking up dead straight. You should then be able to knock these nails back through the slats so as to be able to use the claw hammer or the wrecking bar to grip the nail heads and pull them out. If you are unsuccessful with the above method, then you will need to use a hacksaw to saw through the nails. Keep the saw blade against the face of the block so as to leave the rest of the nail protruding above the stringer board face. 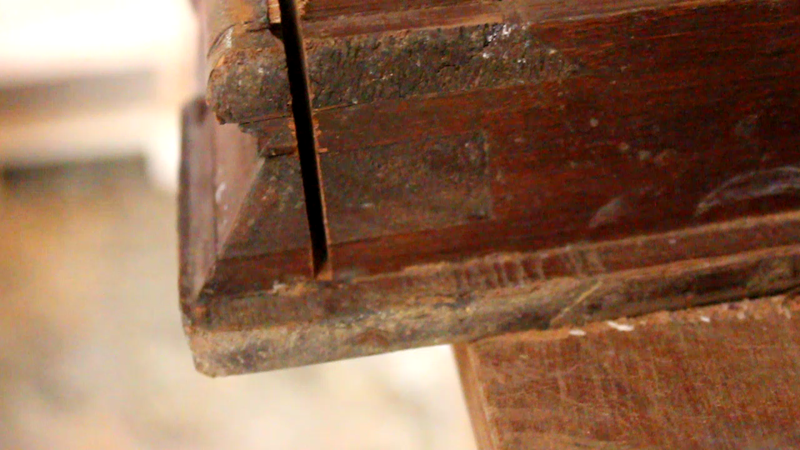 Thus, when all the blocks are removed, the nails can be hammered on their sawn faces through the wood to raise the heads above the slat surface for the claw hammer. If the nails are not proud enough to be hammered through, then they can be driven through using a nail punch against the sawn face. A more brutal method I have sometimes found effective is, with the pallet on its edge on firm ground, strike the lower edge of the block with the lump hammer, this will often move the block away from stringer board face, I have found this to be particularly effective when confronted with blocks made from composite (they look like chipboard). These composite blocks go to the tip/dump and should not be used in any project (or fire for that matter) as they are bonded with toxic adhesives. 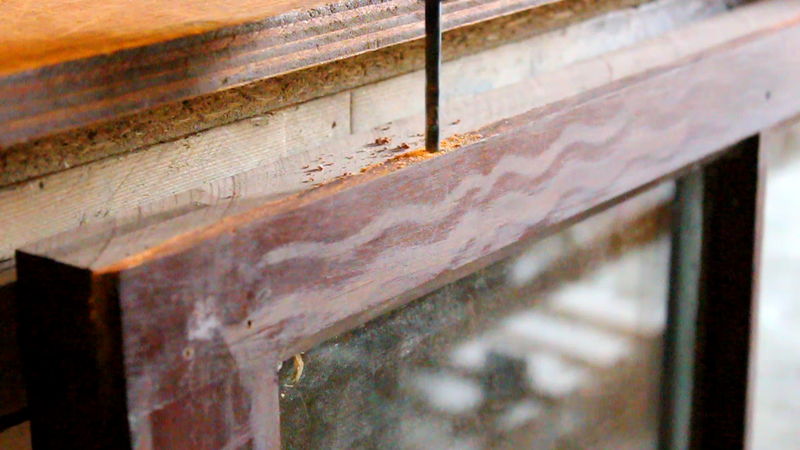 Finally, the protruding nails on all of the planks need to be removed using the claw hammer. 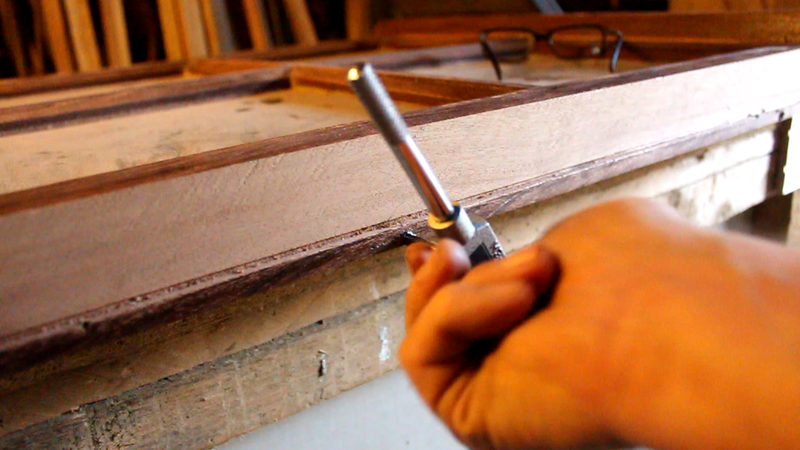 With the pallets having the bent over nails holding the top deckboards in place, you need to straighten the nails using the awl and the screwdriver. Push the point of the awl beneath nail and using the screwdriver as a fulcrum, you can lift the free end of the nail away from the wood. Straighten it further with pliers or tap it vertically with a hammer. The nail can then be driven out from the underside until the head is clear enough for the claw hammer or pry bar to finish the job. 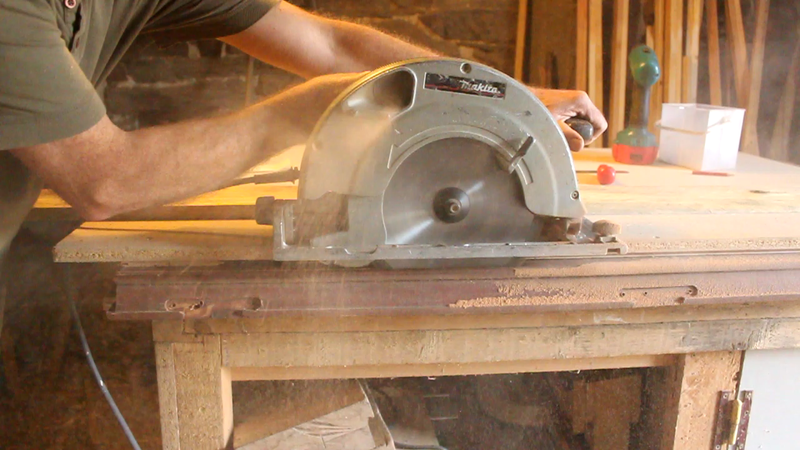 Because the stringer boards are so heavily nailed and of shorter length, I very rarely consider keeping them and that is why they are the surface against which I use the bolster chisel and the hacksaw..
Now, the only things left nailed together are the blocks to the bottom deckboard. 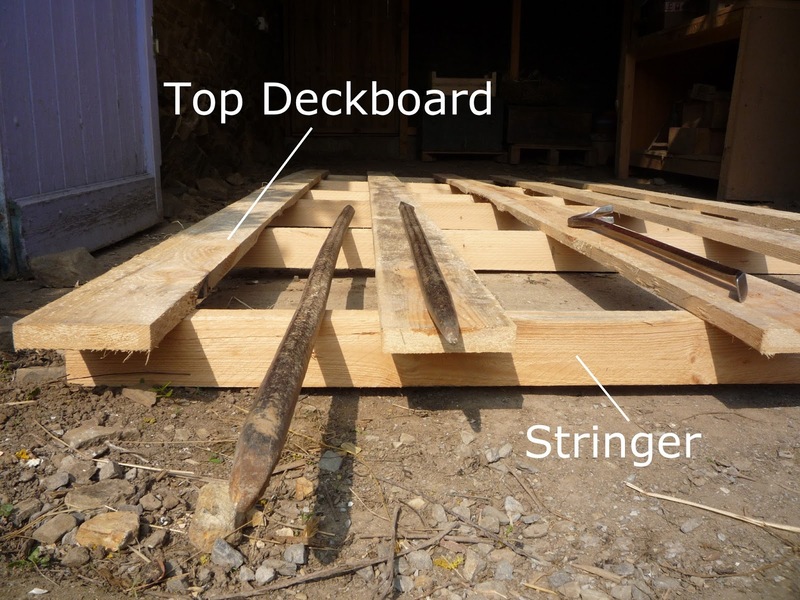 Often these bottom deckboards are in poor condition as they are the workface when the pallet is moved around and hence are often split and dirty and not suitable for most projects. I have found that the block can be moved enough to provide a gap for the pry bar by the simple expedient of striking it on the side with the lump hammer. 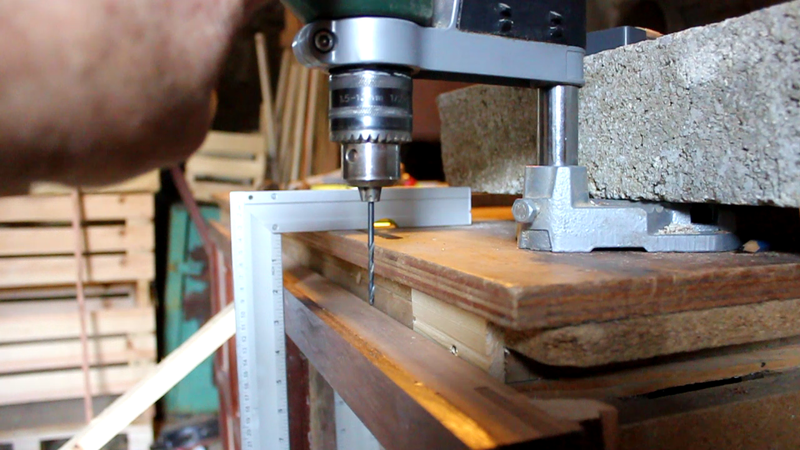 Alternatively, if you have a workbench with a vice on it, you can clamp the block within its jaws and using the deckboard as the lever, lift it off the block. 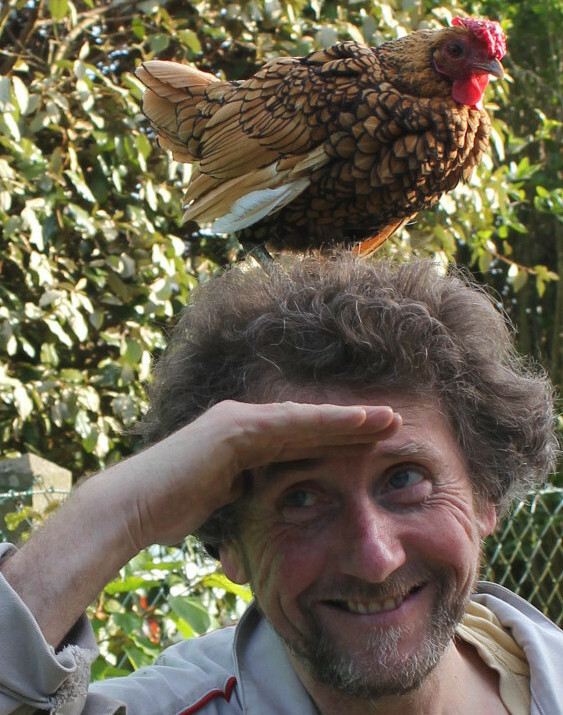 I find this technique particularly useful when collecting the nail-free blocks I use in the insect houses. 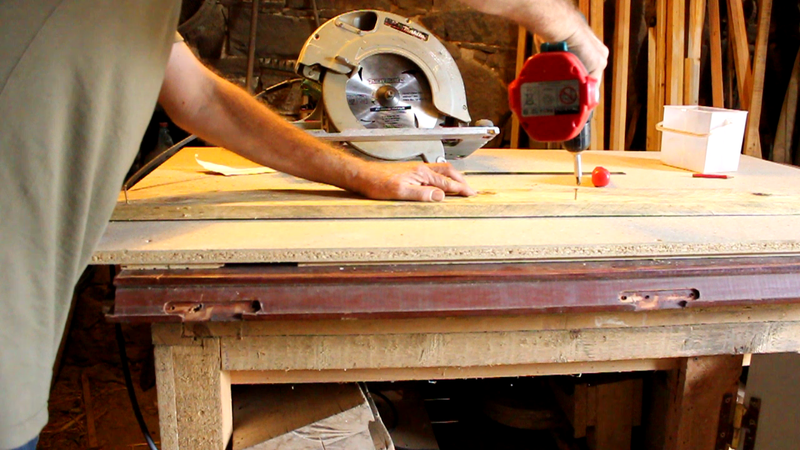 The stringer pallet is often much easier to dismantle as the top deckboards are nailed into the stringers normally with shorter nails than those into the blocks of the block pallet. Removing the top deckboards is the same as previously described except, sometimes, I have found that no matter how careful you are, the nail heads pull through the deckboard and remain in the stringer. Remove the nails from the stringer using the pry bar. For some reason I frequently find the nail heads shear off when trying to remove them. If this happens and you still want to use the wood, then clamp each protruding shank of nail in the jaws of the vice and use the stringer as the lever to pull the nail free. All but the most stubborn nails will succumb to this. That is all there is to it! You end up with loads of useful wood at a fraction of the cost. 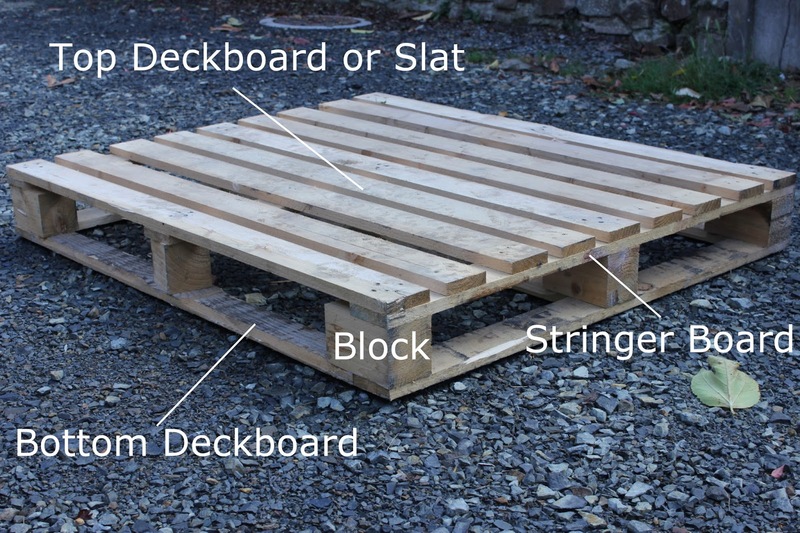 I will just repeat what I said in my previous post on choosing pallets, for your own benefit you should only use non-chemically treated pallets. 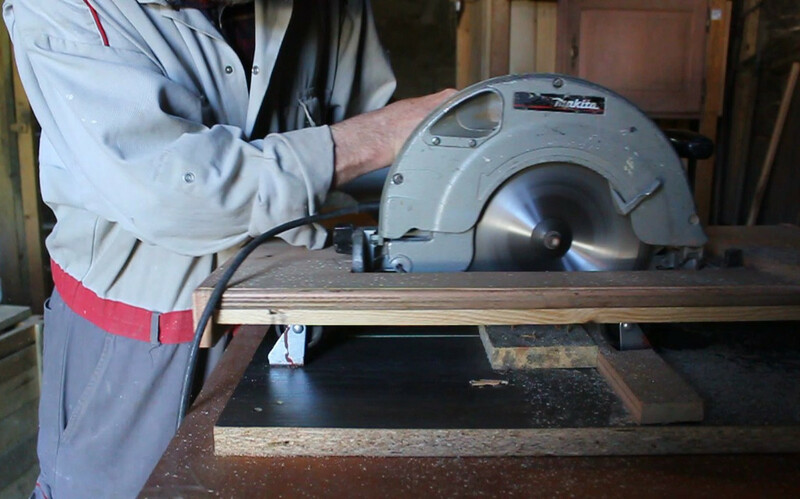 One note of caution: I have needed to smooth the surfaces of the planks for certain projects and I have sometimes found tiny pieces of wire around the nail holes which can foul the plane or tear the belt in a sander. These pieces are from the pallet manufacturing process where the nails in the nail guns are held together with a wire which comes adrift in the nailing process. So, it is always worthwhile to visually check the wood and then go slowly at first with your tools until you’ve established there is no such contamination in your wood.